Network intensely to gain the right connection to learn about which wine businesses may be appropriate for your aspirations. Paul, who once served the Napa Valley as a volunteer firefighter, first contemplated a career in wine at the Hula Grill on Maui. 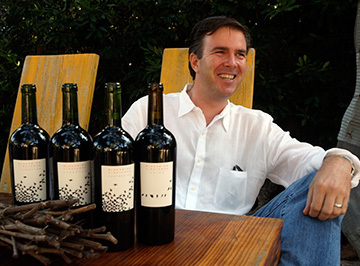 I began with Duckhorn Wine Company in 1999 as a Marketing Leader. Believe it or not, being introduced to wine while working at the Hula Grill on Maui. The wine director was so passionate about wine, and it was contagious to the point where I knew it might be a path for me. Dan Duckhorn. He was my mentor in the wine industry, offering insights on all aspects of the business from viticulture to production to finance to sales and marketing. Inspiring our team members, partners and clients with all of the dedication and focus we put into our wines and, as importantly, our guest experiences. Long production cycles to get the wines to finished cased goods. It ties up a lot of capital. Especially for a growing brand. We cultivate excellence through our company values creed. It speaks to how we all work together to create a culture that is inspiring for all that dedicate their time to our brands. The proximity to the Bay Area region, which allows visitors to experience one of the more stunningly beautiful wine regions in the world. Additionally, the Napa Valley’s hospitality is second to none. My wife, my mother and Bill Gates. Find a specific focus in the aspect of the business, and network intensely to gain the right connection to learn about which wine businesses may be appropriate for your aspirations. I was a volunteer firefighter for three-plus years and was very proud to serve the Napa Valley community during that time period.